The Kiwi 75 is a classic French 75 with the addition of some fresh Kiwi. The kiwi adds a sweet, refreshing flavor that complements sparkling wine perfectly. This is a perfect cocktail to get your summer party going. Procedure: In a mixing tin muddle 1 oz. of fresh kiwi. 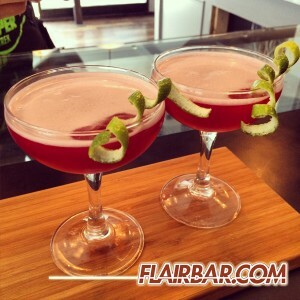 Add the Beefeater Gin, lemon juice and Finest Call Bar Syrup. Fill your mixing tin with ice and shake vigorously. Double strain the mixture into a champagne flute and top with sparkling wine of your choice. 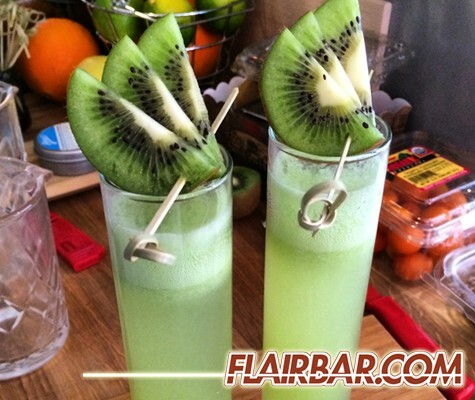 Garnish: Several kiwi slices on a bar skewer. 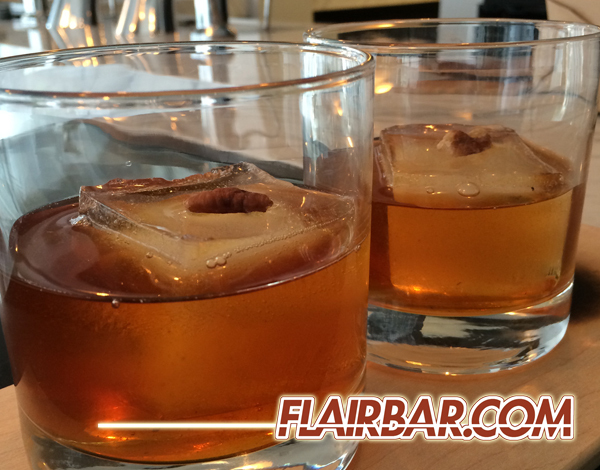 One of the easiest ways to manipulate your classic cocktails is to infuse your spirit with a new flavor. Dried herbs, roots, flowers and nuts are great for quick and flavourful infusions. Head to your local gourmet tea shop and pickup some dry hibiscus flowers. If you can’t find loose, dry flowers use hibiscus tea from the local grocer as a second option. Add a handful of the flowers or a couple bags to your bottle of silver rum and shake the bottle well. After a full day remove the flowers or tea from your infused rum. Procedure: In a mixing tin add the infused rum, lime juice and bar syrup. Fill your tin with ice and shake vigorously. Strain into a chilled coupe glass. 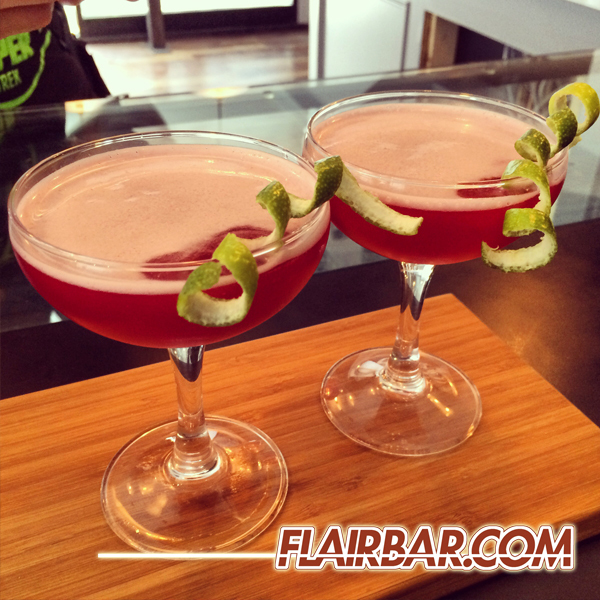 Garnish: A long lime twist. Nut based infusions present one of the most shocking and delicious flavor profiles I’ve come across. Most people don’t know what to think when they see nut flavoured cocktails but they almost always react in a very positive way. This infusion is as simple as adding a handful of pecans to your bottle of Tap 357 maple rye. Procedure: In a mixing glass add your pecan infused rye, maple syrup and bitters. Fill the mixing glass with ice and stir for a full 30 seconds. Strain the cocktail over an XL cube into a rocks glass and garnish with a pecan half.